For a beautiful girl who happens to be an amazing barrel racer, some fancy photos with her horse are a must, don't you think?! I sure do! I have to say, this session was just amazing! Together we planned the cutest outfit, I mean, girly lace, a flowy skirt, a flower crown and some for real, broken in boots... perfection if you ask me! Feminine but still a little bit tough. We did share a few laughs as we tried to keep her spurs from catching the hem of her dress while we walked around MacKerricher State Park though! 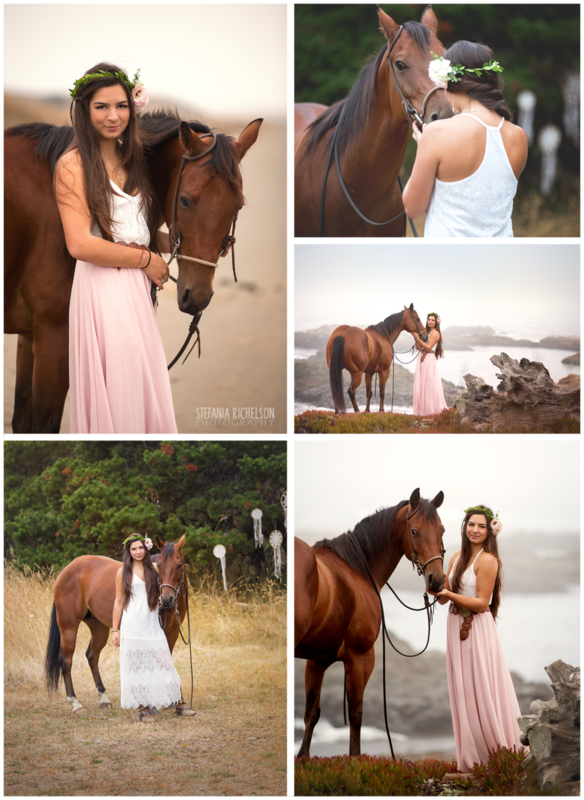 Even though Lily isn't actually a high school senior yet, wouldn't these make awesome senior portraits for the horse riding girls graduating in 2018?